Drew Scholarship for the Arts. At Drew, you are more than a test score. Students who excel in the arts, may elect apply for the Drew Scholarship in the Arts and submit samples of work. Areas of concentration include visual art, music, theatre. Students awarded the Scholarship in the Arts receive an annual award of $1,000 ($4,000 over four years). This award is in addition to any academic merit awards received. 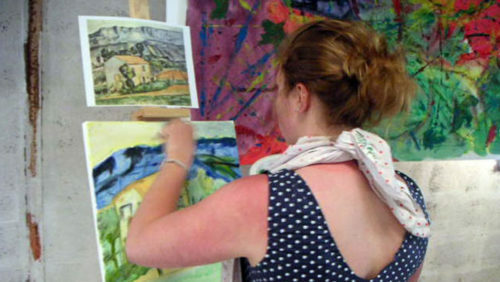 While Scholarship in the Arts recipients are not required to major in an arts field, they are expected to participate in the fine or performing arts throughout their college career. Students must be in good academic standing, enrolled in 12 or more credits each semester, and continue to be an active participant in the Arts in order to remain eligible for this scholarship. Considering applying for Drew Arts Scholarship? Scholarship applications are reviewed along with your admissions application. Therefore, the deadline to apply is the same as your selected admission decision plan. You do not need to know if you have been admitted to Drew to apply for the Drew Scholarship in the Arts. As soon as you’ve submitted your Common Application you may complete the scholarship application. You’ll use your Common Application ID to link your Admissions Application and your scholarship application. When you apply you’ll be asked to select a concentration. Based on that selection, you should attach the appropriate examples of your work as outlined below. 10 Images representing the best of your body of work. Vocal and Instrumental: Two contrasting performances. At least one selection should be classical, but both may be classical as long as they are contrasting in style and historical era. The second selection may be from Broadway or Jazz repertoire. Pop music is discouraged. Jazz: Two performances that also show the ability for improvisation. Acting: Two contrasting monologues. Please no live performances. Dance: Recording of applicant where they are featured and clearly noted if a live performance. A recorded studio performance is acceptable. Design: Images showcasing final designs and/or drawings/by plans of designs by the applicant.